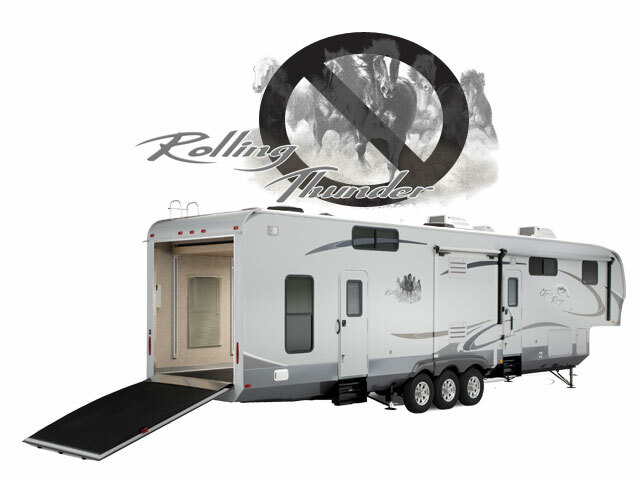 A unique fifth wheel floor plan, the 2008 North Shore 320 TS. A very unique step up kitchen slide-out. 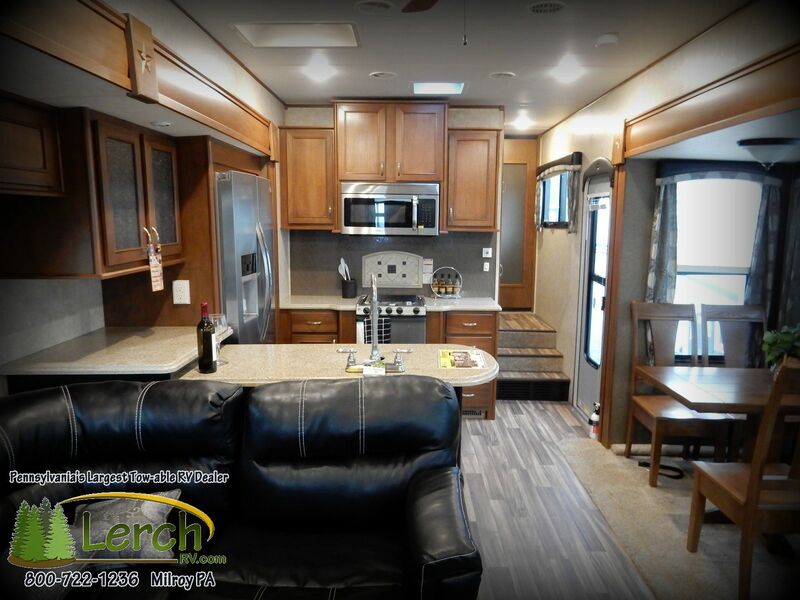 Chart a new course to that perfect place this year with this pre-owned North Shore fifth wheel. Whether it’s somewhere brand new or a favorite vacation spot you venture to each year, let a North Shore fifth wheel take you there. With its distinctive styling and premium features you’ll find each North Shore to be the ideal setup when you are on the road. 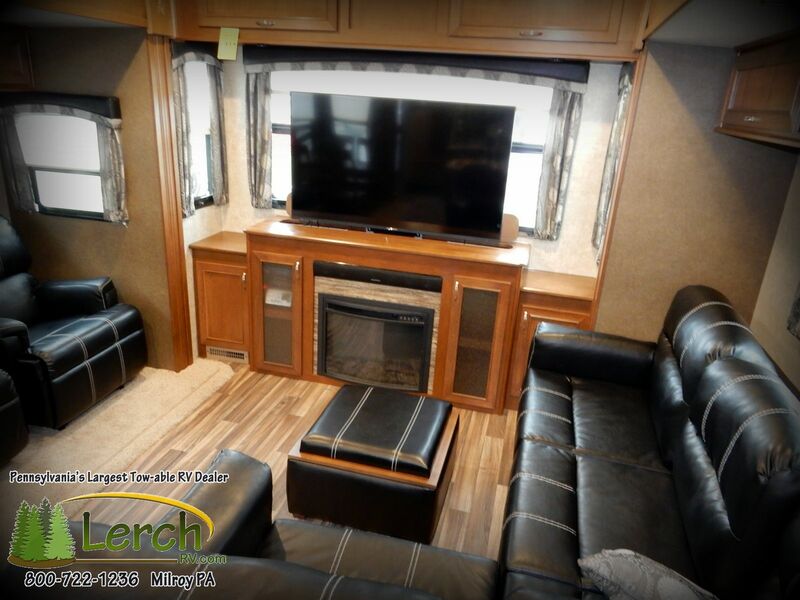 This 2008 North Shore 320 TS has very distinctive floor plan. 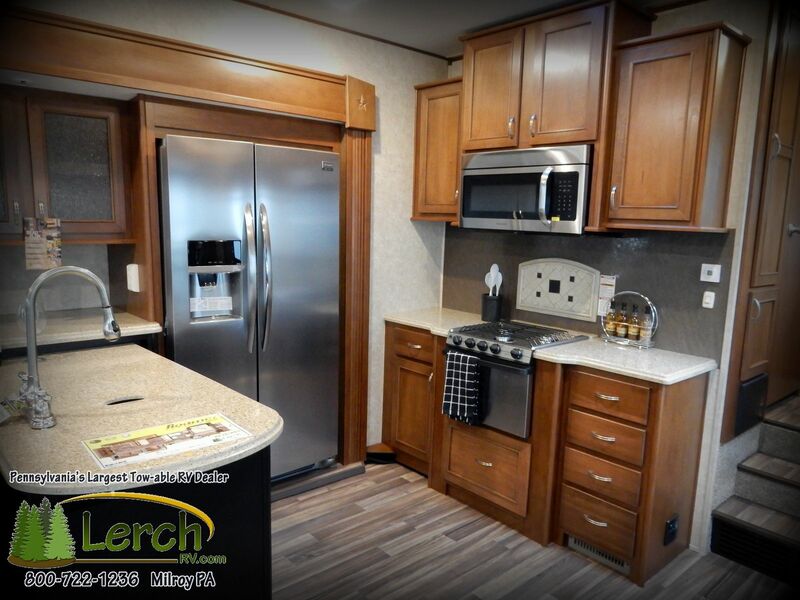 The step up slide-out kitchen makes this used fifth wheel stand out amongst our other pre-owned fifth wheel inventory. Loaded with great interior features that include a Roof Mounted TV Antenna w/ Booster, Microwave, 3 Burner Range w/ Oven and High Output Burner, Range Cover, Double Bowl Kitchen Sink w/ High Rise Faucet, Gas/Electric Double Door Norcold 8 cubic foot Refrigerator, Roof Mounted Ducted AC, Auto Ignition Ducted Furnace, Ceiling Fan, Power Roof Vent in Bath, Bathroom Skylight, Glass Shower Enclosure w/ Tub Surround, Foot Pedal Flush Porcelain Toilet, CO Detector, LPG Leak Detector, Smoke Detector, Under Bed Storage, Hardwood Linoleum Flooring, Pleated Woven Shades, Fireplace, Hide a Bed Sofa, Large Countertop in Kitchen Area. Exterior Features include Fiberglass Exterior, Aluminum Framed Sidewall Construction, Low Maintenance Rubber Roof, Manual A&E Awning, Front Power Landing Legs, Rear Stabilizer Jacks, Over Sized Storage Compartment, Enclosed Underbelly, Enclosed and Heated Holding Tanks, Black Water Tank Flush, Dual 30 lb LP Tanks, Auxiliary Battery, Cable TV Hook-up, Phone Jack, Outside Spigot, Exterior ‘Scare’ Security Light, Roof Ladder, 10 Gallon DSI Water Heater, XL Entry Assist Handle. This trade in is a must see. Very clean and very well maintained by the previous owner. If you are interested in seeing this 2008 North Shore 320 TS by Dutchmen RV, give your central Pennsylvania RV Dealer a call at 800-722-1236.